The past and future of the American strike. I played a pretty big role in a labor fight noted in Erik Loomis’s entertaining, tough-minded, and strenuously argued new book, A History of America in Ten Strikes. Back in the day, I was a “comprehensive campaign” guy—the newish strategic paradigm that was supposed to compensate for labor’s loss of shop-floor power by investigating and pressuring a company’s entire business operation. Loomis describes one such campaign: a lockout of 1,700 members of the United Steelworkers (USW) at the Ravenswood Aluminum Corporation (RAC) in Ravenswood, West Virginia, between 1990 and 1992. Marc Rich controlled the RAC, and as the world’s most powerful metals trader, he was nicknamed “Aluminumfinger,” a nod to the classic James Bond villain Auric Goldfinger. At the time, Rich was a top target of the FBI and Interpol and a fugitive from justice, having been indicted in 1983 for what was then the largest tax-evasion case in US history. (Bill Clinton later controversially pardoned him for his alleged crimes.) The workers were steeped in West Virginian solidarity, and the campaign that we organized spared no expense or effort in attacking Rich’s international empire. The USW sent workers all over North America and Europe to harass Rich—from New York and Vancouver to London, Amsterdam, Paris, Bucharest, and Zug, Switzerland, where Rich lived, protected by the country’s lenient money-laundering laws. The campaign disrupted Rich’s business deals and got the US Mint to stop buying copper from a man who had flouted the American system of justice. Loomis writes only a few sentences about the campaign, and he can’t convey how crazy, often scary, and just damn exhilarating the whole thing was: the “Got him!” thrill that I had in the bowels of the Jackson County, West Virginia, courthouse when I found a loan document signed by a top assistant to Rich, thus confirming Rich’s control of the RAC (pre-Internet research, young’uns! ); a risky effort to personally embarrass Rich at the World Economic Forum in Davos; the death threat delivered in person to my boss on a London street by large men emerging from a black BMW; the attempted murder on an Alps ski slope of a business competitor of Rich’s who was one of our informants; the puppet theater in European squares with solidarity support from foreign unions; and the Marc Rich wanted poster in eight languages distributed all over the world, which drove him crazy. And the best part is that we won! All the workers got their jobs back; the hated local- plant manager was fired; and, Bond-villain style, Rich hosted the USW’s president and vice president in his Zug hideaway, serving champagne to the union adversaries who had taken him down. But then deindustrialization hollowed out the RAC; the company went through a few new owners, changed its name, and finally stopped production in 2009 (although a more successful segment of the company has modernized its operations and still employs 1,100 unionized workers). 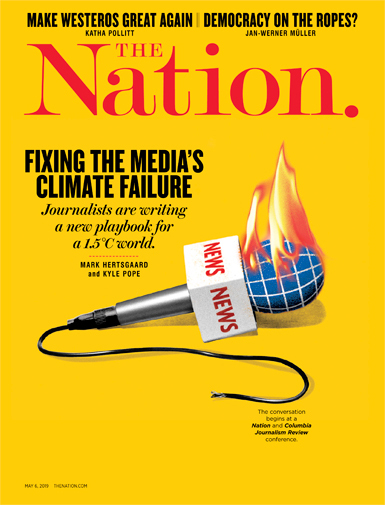 So thinking about the best and most interesting work of my union career is bittersweet: The workers and the union were aggressive, stalwart, and inventive, but the nation’s union-density numbers in the wake of our victory only continued to decline, year after year after year. No, this campaign did not mark “the Revival of American Labor,” as the subtitle of Ravenswood, Tom Juravich and Kate Bronfenbrenner’s excellent book on the lockout, hopefully proclaimed. Loomis, a professor of American history at the University of Rhode Island and a Twitter scourge of revanchist right-wingers, sell-out liberals, and delusional leftists alike, tackles this dilemma head on. And despite some carelessness here and there, A History of America in Ten Strikes, along with two rather different books in method and structure, Nelson Lichtenstein’s State of the Union and Jake Rosenfeld’s What Unions No Longer Do, is one of the best books to give to anyone who wants a relatively quick way into the history and prospects of unions and the working class in the United States. Loomis is one of a number of contemporary scholars and thinkers whom I would call “pessimistic militants”—embodiments of the Gramscian cliché about pessimism of the intellect and optimism of the will. The pessimistic militants study American history deeply, and reluctantly conclude that their desired goal—an egalitarian America—is not the likely historical trajectory. But they hope they’re wrong. At first, one can imagine how A History of America in Ten Strikes might generate an obvious parlor game for the knowledgeable reader: Did Loomis pick the right 10 strikes? Which were the most historically significant, socially complex, and eerily resonant? The eight-hour strikes of 1886 were a critical event in the Gilded Age. So too was the Great Railroad Strike of 1877, which helped demarcate the transition from the war over slave labor to the battle over wage labor, and which anxious moguls compared to the Paris Commune of a few years earlier. But A History of America in Ten Strikes doesn’t actually try to tell all of US labor history and most of US history in just 10 strikes. Loomis has a lucid method, even if he doesn’t announce it in the book’s introduction: Following Theda Skocpol, Marshall Sahlins, and William Sewell, he builds a narrative around the classic relationship between events and the larger structures they refer to and sometimes also transform. Loomis wants to show his readers what leads to and results from the “special moments” when strikes occur and unsettle the quotidian experience of work. To cover all this ground, Ten Strikes is naturally a work of synthesis, relying mostly on the enormous secondary literature on the American working class of the past half-century. But what Loomis loses in thick description and original research, he gains in constructing a much wider canvas of disparate Americans coming together in solidarity and struggle, fighting to change their workplaces and expand the possibility of self-rule in a capitalist democracy. Loomis also does a masterful job of weaving together the voluminous scholarly work about slavery, the Civil War, and Reconstruction, refracting it through the prism of labor. He argues that at the precise nexus of class struggle and racial subordination, African-American slaves fled plantations during the war (or resisted and limited their work regimen) in order to deliberately undermine the Southern cause. Borrowing from W.E.B. Du Bois’s Black Reconstruction, Loomis calls this vast action a “strike in the form of self-emancipation.” It can also be called the most politically important strike in American history, and Loomis treats it as such. Loomis uses the two-day 1946 general strike in Oakland to illuminate labor’s fragility at its moment of greatest social legitimacy. He argues that the strike—the last of the extraordinary citywide uprisings in 20th-century America—captured the enormous power and growth that unions achieved and sustained during and following the Second World War. It also anticipated the end of a more radical current within the labor movement, whose demands sometimes challenged economic and political hierarchies. The strike began in October, when a local union of workers—mostly women—affiliated with the American Federation of Labor walked out of two downtown department stores. On December 3, after police sought to break the picket line, Oakland’s working class responded. The trolley drivers stopped public transportation. Next, 100,000 Oakland workers from 142 other AFL-affiliated unions walked off the job, all hoping to challenge the city’s anti-labor Republican machine. But despite the scale of the strike, union leadership ended it soon after when the Teamsters’ president, Dave Beck, who despised the “damn general strike,” pulled his members off the picket lines. The female store workers who had started the fight stayed out in vain for five months, and, as Loomis points out, were quickly shunted to the sidelines by male trade unionists, mirroring the typical gender hierarchy of unions and workplaces. Moreover, organizational rivalry undermined the vaunted social unionism of the Congress of Industrial Organizations (CIO), whose Oakland affiliates refused to join the striking workers of the AFL, the typically more conservative labor federation. In that same year of 1946, a remarkable 14 percent of American workers struck to defend the gains they’d made during the war, and union leaders took labor’s message to the nation via the major national radio networks. Yet within a few years, labor’s forward march was halted when anti-labor politicians in both parties passed the Taft-Hartley Act, which rolled back key organizing and union-security provisions of the Wagner Act. Operation Dixie, the CIO’s effort to organize the South, collapsed, and the CIO, pressured by corporate, political, and media conservatives, expelled 11 communist-led unions—often labor’s most energetic organizers and champions of multiracial solidarity. At every point, and whatever their limitations, Loomis ardently supports the working-class struggles he examines. He writes frankly as an advocate, not a detached academic. But as his contempt for the sexism prevalent during the Oakland strike indicates, he also stubbornly refuses to offer a more sanguine analysis of labor’s past than he believes the historical record will bear out. He gives the frequently romanticized Industrial Workers of the World (IWW) their due as remarkably and resolutely anti-racist organizers of mining, timber, and textile workers (ignored by the AFL), but he is also critical of the Wobblies’ refusal to accept union contracts and stay in one place long enough to build sustainable union organizations. Loomis is willing to point out when union militancy alone cannot compensate for a naive strategy and insufficient power. Relying on the findings in Joseph McCartin’s Collision Course, for example, Loomis asserts that the 1981 PATCO strike was “the greatest disaster in American labor history.” Loomis argues that PATCO—the Professional Air Traffic Controllers Organization, the government union representing these crucial airport workers—made a critical misstep when, after endorsing Ronald Reagan in the 1980 presidential campaign, it turned down a not-terrible deal offered by the administration and prepared to strike for a better one. The union wrongly assumed that it had enormous economic power—how could planes fly without the air-traffic controllers?—and it also assumed that it had more support from other unions and the public than it had. PATCO’s gamble failed: Reagan took the illegal strike as an opportunity to fire more than 11,000 controllers en masse, destroying the union. 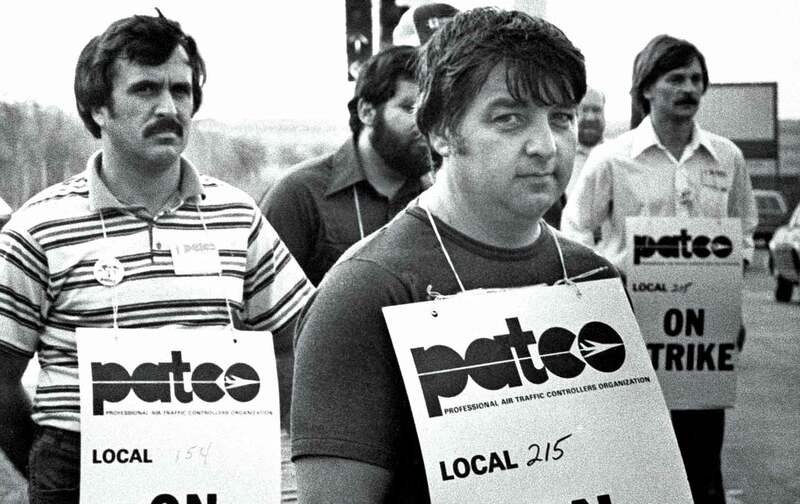 The PATCO debacle embodied the decline of the postwar Anglo-American liberal-labor compromise illustrated in the chapter built around the Oakland strike. A few years later, in Britain, Margaret Thatcher extirpated the iconic National Union of Mineworkers. In conjunction with a capitalist class fearful of falling profit rates and increased inflation, the epoch of Thatcher and Reagan stood for the decimation of two seemingly impregnable public-sector unions and also much of labor’s strength in its central economic sectors of manufacturing, mining, and transportation. Like all subaltern peoples, white workers, Loomis insists, ought to be granted their agency by historians, and in doing so, historians should not gloss over the fact that this agency is at times racist and runs against other egalitarian struggles. Despite capital’s deliberate efforts to split workers by race and ethnicity—for example, by using black strikebreakers—“more often than not,” Loomis writes, “white workers have prioritized their racial identity over their class identity without any help from their bosses.” Even the CIO’s pathbreaking organizing and ideological commitment to black manufacturing workers was, as many scholars have shown, mostly driven by those in leadership and against the frequent opposition of rank-and-file white workers. There is simply no evidence from American history that unions can succeed if the government and employers combine to crush them. All the other factors are secondary: the structure of a union, how democratic it is, how radical its leaders or the rank-and-file are, their tactics. The potent and often interlocking strategies of the state and bosses build a tremendous amount of power against workers. That was true in the late nineteenth and early twentieth centuries and it is true under the Trump administration…. Workers and their unions have to be as involved in politics as they are in organizing if they are to create conditions by which they can win. To stop involvement with the two-party political system would be tantamount to suicide. Having friends in government, or at least not having enemies there, makes all the difference in the history of American workers. Time after time, Loomis returns to these two interpretive themes: the debilitating prevalence of racism and nativism among America’s majority-white workforce and the necessity of state power to augment labor’s struggle against capital—because, however inadequate, bureaucratic, and biased it is toward those who own the means of production, only the state has the juridical, administrative, and legislative weight to protect and sustain unions (sometimes simply by not using its power against them). At times, Loomis links labor’s institutional racism with its need for state support, such as when he observes that the violent opposition of California’s white workers to competition from the Chinese immigrants hired to build the railroads (under perhaps the most brutal exploitation of the Gilded Age) was to result in Congress passing, in 1882, the Chinese Exclusion Act, which barred Chinese laborers from the United States. “A law enshrining racism,” Loomis writes mordantly, “was the American labor movement’s first major legislative victory.” But state power has also been used to push back against white-working-class racism, which undermined the majoritarian decision-making structure of labor unions. Particularly in the postwar and civil-rights eras, African-American activists and legal strategists sought state remedies for racial discrimination not only from companies but from the unions, too. Some unions, notably the United Auto Workers (UAW) and the American Federation of State, County and Municipal Employees (AFSCME), supported the burgeoning civil-rights movement. But many unions and white-working-class Americans—often through authoritarian community movements in the 1970s—resisted the economic and political struggles of African Americans and other nonwhites. Loomis mentions the exceptional cases of multiracial solidarity—sometimes the Knights of Labor in the 1880s, sometimes the mine workers and the Wobblies, sometimes the dockworkers—and, today, when labor is at its weakest, there is generally much more transracial and ethnic solidarity. He does not diminish the organizing efforts of nonwhite workers on their own behalf, nor does he doubt that their lives consequently improved. Loomis concludes, however, that racism and nativism have constantly undermined organized labor’s efforts to sustain and galvanize a working-class movement. Though he does not see these conditions as inevitable, inherent, or transhistorical, he does see them as recurrent and destructively pervasive. The narrative of Ten Strikes thus integrates all the ingredients of a good work of history: events, structures, transformation, and critique, viewed from the perspectives of both the historical actors and the historian. There is, however, a trade-off for this conceptual clarity: Loomis understandably wishes for the book to be accessible to nonexperts, and so he avoids intrascholarly debates. He references seemingly every relevant secondary source, but he doesn’t join the historiographical and interpretive battles over them. For example, Loomis is straightforward about working-class racism: He declares the general theme and brings up example after example spanning 175 years. But readers who wish for a discussion of the multidisciplinary theoretical underpinnings for these examples will be disappointed. Loomis doesn’t quote Stuart Hall about how “race is the modality in which class is lived,” or apply Karen and Barbara Fields’s concept of “racecraft,” or choose sides in Eric Arnesen’s evisceration of David Roediger’s paradigmatic, psychoanalytically informed study of race and class discourse, The Wages of Whiteness. Loomis notes postwar labor’s lack of organizing energy and political imagination, but he doesn’t discuss the literature about this “business unionism” by post–New Left writers like Stanley Aronowitz, Paul Buhle, Mike Davis, and Kim Moody. And his chapter about the immediate postwar labor movement doesn’t address the central place of “industrial pluralism,” a variant of Gomperist voluntarism. Its most exemplary postwar articulator, the USW’s general counsel (and future Supreme Court justice) Arthur Goldberg, insisted that unions and corporations, with only minimum oversight from the National Labor Relations Board, could privately work out enforcement mechanisms for contracts, grievances, and arbitration without the heavy hand of the state. Goldberg and Loomis would have a lot to argue about. Loomis extols, but is never satisfied by, mere expressions of working-class defiance. He sees how any protocols that depoliticize union administration weaken the labor movement. He makes the case over and over again that workers must organize and elect politicians who will have their backs, or else they will lose. Almost every chapter has a summary sentence or two reminding the reader that the chronicled strikes either succeeded or failed depending on how the state responded to them. It is no accident that Loomis ends his valuable appendix of “150 Major Events in U.S. Labor History” with Wisconsin Governor Scott Walker signing a “draconian” right-to-work law in that state and, finally, with Donald Trump’s election as a faux pro-worker president who “proceeds to eviscerate labor protections.” Resistance to the boss is necessary, but is not in itself a sufficient exercise of power by labor. Workers must “neutralize the government-employer alliance,” or it will defeat them. Despite its many strengths, A History of America in Ten Strikes does, at times, have a rushed quality about it and could have used another edit. There are some goofy errors of fact or omission. Henry George advocated a single tax on land, not “property.” The text omits the year of the 1932 march of several thousand unemployed workers from Detroit to Ford’s River Rouge plant in Dearborn. Loomis also claims that the AFL-CIO paid for buses to get people to the 1963 March on Washington. But the federation famously refused to endorse the march (although, as William P. Jones notes in his 2014 book The March on Washington, George Meany pushed through a compromise that allowed individual unions, like the UAW and the International Ladies’ Garment Workers’ Union, to do so). And the prose, while generally energetic and passionate, sometimes becomes slack—Loomis uses the phrase “fat and happy” to describe the modern labor movement three times, which is at least three times too many. In the book’s brief conclusion on the present day, there is no strike to serve as a central conceit, which leaves Loomis at a bit at a loss. In fact, he allows himself to concede that “strikes are just a single dramatic tactic in the labor movement,” which somewhat undercuts the point of the book; the Gramscian equipoise of the pessimistic militant falters. Thus, he perhaps misses an opportunity to see yet another turn in the making and remaking of class dynamics and does not discuss what I have called elsewhere the ideology of “laborism.” In the wake of the Great Recession of 2007–09 and the tenuous economics of the media and academic sectors, support for labor activism has exploded among leftist intellectuals, especially younger journalists and academics in urban centers that have large amounts of cultural capital. The laborists organized their own shop floors at digital-media companies and in graduate schools and helped revive the Democratic Socialists of America. As a result, labor’s cultural resonance is arguably as strong today as it has been since the late 1940s. Yet, paradoxically, despite a rise in laborism among many of America’s millennials, unions lack a strategy and the economic and political power to organize large companies or the disaggregated workers of the gig economy on a mass scale. The Fight for $15, the SEIU drive to substantially raise the minimum wage, has had spectacular success in doing just that for millions of workers across the country, even in red states. The slogan has also become prospective policy for the national Democratic Party. And the laborists have supported this project from their bases in new media and the universities. However, despite these significant achievements, the Fight for $15 has failed to organize any worker into SEIU. What happened? An observation prompted frequently when reading the last half of the book is the devastating consequences that the decline of the UAW has had for labor. This is not just because the UAW, from the 1940s to the ’70s, was the largest left-liberal union and a racially progressive one—after all, SEIU can make the same claims about itself today—nor is this because of a nostalgia for the age of the CIO. It is instead because the UAW controlled what was then the central sector of the midcentury manufacturing economy. No union today is close to having that kind of power in the larger political economy and thus also the confidence to challenge plutocracy and its political courtiers. Still, a reader can see the possible outlines of a different future. Loomis concludes Ten Strikes by summarizing other recent, nascent episodes of workers’ empowerment: immigrant organizing, alt-unionism, the success of the powerhouse Las Vegas Culinary Workers Union, advances by the Communications Workers of America and the International Brotherhood of Electrical Workers in organizing low-wage workers at Verizon. As worker-rights advocates and socialists win more and more elections as Democrats, and as the Internet facilitates political fund-raising, Loomis insists that the route to state intervention on behalf of unions will go through the porous borders of a major party: “The Democratic Party may be flawed, but today it is our best chance at turning a political party into an instrument of workers’ rights.” Loomis sharply distinguishes the current iteration of the Democratic Party from its Republican counterpart, itself an important departure from those leftist academics who broadly conflate the two parties as complementary pieces of the neoliberal puzzle. Rich YeselsonRich Yeselson is a contributing editor to Dissent and worked as a strategic researcher in the labor movement for 24 years.